Ridge At The Legacy - The finished walk-out basement has another bedroom as well as plenty of space for storage and entertaining and relaxing. MLS#21616163. Trueblood Real Estate. 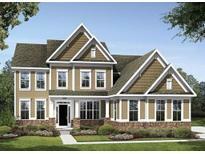 Village Of WestClay - Walk to pool/exercise clubhouse, restaurants in V. W. Clay, etc. Great value on estate lot. MLS#21612748. eXp Realty, LLC. Bridgewater Club - Come Explore You Won’t Be Disappointed. MLS#21615890. F.C. Tucker Company. Front yard has irrigation system. Towne Meadow, Creekside Middle MLS#21615857. RE/MAX At The Crossing. Don't miss the Loft / Bonus Room on the 2nd level of this gorgeous home. MLS#21615818. ERA Real Estate Links. 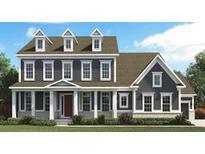 Come personally tour these unique Cottage homes and the Bridgewater Clubhouse! MLS#21615861. ERA Real Estate Links. Easy commute to 465 or Indianapolis while still in Carmel schools. Immediate move-in available. MLS#21615303. Highgarden Real Estate. 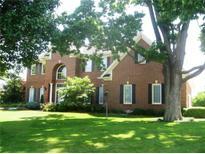 Long Ridge Estates - Gorgeous Finished basement offers family/recr and bonus rooms, full bath & addtl storage. Relax in your backyard retreat! MLS#21614868. eXp Realty, LLC. Ready to move in right away! MLS#21613735. CENTURY 21 Scheetz. The home is a short distance to the neighborhood pool, basketball and tennis courts. MLS#21614843. Thorpe Real Estate, LLC. Aggregate rear patio. Bridgewater Club social membership included. MLS#21614899. RE/MAX Legends Group. Overbrook Farms - So get ready for entertaining on your 2 tiered deck with gas fire pit! MLS#21613337. F.C. Tucker Company. Thanks to Lennar's partnership with Amazon, this home is now a "smart home!” MLS#21614923. CENTURY 21 Scheetz. Lots of storage for off-season items, newer HVAC systems & Recreation/media room. MLS#21610596. CENTURY 21 Rasmussen Company. Enormous back porch overlooking large, fully fenced backyard. MLS#21612795. F.C. Tucker Company. Bridlewood - Westfield Schools and just minutes away from tons of shopping and dining options. MLS#21615081. Liberty Real Estate, LLC.. Village Of WestClay - Family friendly areas include the lower level bar encompassing eye catching design, inviting screened porch & outdoor patio fireplace awaiting crackling fires and enjoyment. MLS#21614631. Encore Sotheby's International. Buckhorn - This home is truly a must see! MLS#21614914. ERA Real Estate Links. This Top Notch New Home is Ready to Move in NOW! MLS#21614583. CENTURY 21 Rasmussen Company. This home is truly a must see! MLS#21614878. ERA Real Estate Links. Ashton - Relax on the screened-in porch or entertain family and friends on the expansive deck overlooking a fully fenced yard. 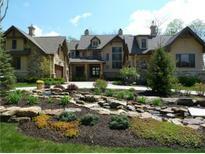 Great Carmel location! Professionally landscaped. MLS#21613807. Encore Sotheby's International. Northern Heights - Carmel living at it's finest! MLS#21614556. RE/MAX Ability Plus. Village Of WestClay - 3 Car Garage & a fantastic side yard with gorgeous water views ideal for a relaxing and tranquil evenings. MLS#21614399. RE/MAX Ability Plus. 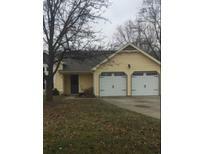 Westmont/Carmel Clay - Basement workshop with plumbing rough-in avail for Additional bedroom, full bath and wet bar. 4 bedroom 3.5 bath MLS#21614397. Paradigm Realty Solutions. Northwood Hills - Great Value On Carmel's East Side, Huge Lot Across From The White River, Perfect Inside With Many Upgrades not In The Flood Plain, Great Room Sizes, Great Enteraining In And On The Huge Patio With Outide Shed And Storage, MLS#21608152. RE/MAX Ability Plus.